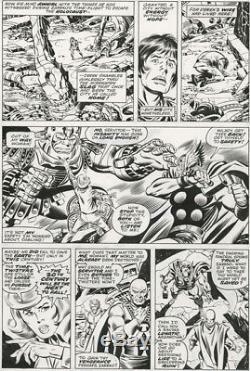 John Buscema/Joe Sinnott Thor #245 pg. 7 Marvel Comics, 1976 10 x 15 image pencil/ink on bristol board. The item "John Buscema Thor #245 pg. 7 Original Comic Art" is in sale since Monday, December 11, 2017. This item is in the category "Collectibles\Comics\Original Comic Art\Interior Pages". The seller is "graphcoll" and is located in Saugerties, New York.